Thinking of relocating Your Goods by Availing Truck Hire Services? Mumbai is a very vast city and shifting goods to any location of the city through truck rental service providers is not as simple as it seems. You would definitely need a professional truck hire company to get your precious items your shifted to the place where you want. You think that the goods can get shifted by you safely and securely but not aware about the second aspect of transporting the goods somewhere and it becomes the most complicated when you want to shift it so far. There are several things to consider when choosing one, such as safety. During the travel on road, you can meet with any unexpected accident that can be caused of damage to goods. If you want to keep your items safe, then it is suggested to make a thorough research work about the tips of hiring tempo for shifting in Mumbai and have a delightful experience. Check Whether the Trucks are Well Maintained or Not? The top tempo hire service providers in Mumbai offer a service which uses an enclosed trailer to move the fragile goods. Therefore, the chance road accident or goods damage from dirt is nearly impossible. When you plan to avail truck on rent in Mumbai, then make sure whether the trucks on which the items will be loaded or moved are properly maintained or not. It is also important to note that until the goods has been loaded onto the trailer, it doesn't charge a fee. There are lots of tempo rental companies in Mumbai that are efficient and professional enough to transport any kinds of goods without giving you any reason to complain. 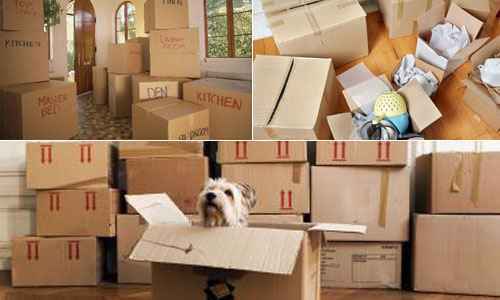 They also relocate the precious items properly, eliminating the chances of the goods being delivered on a wrong address. They ensure to keep items secured and deliver them in a timely manner.